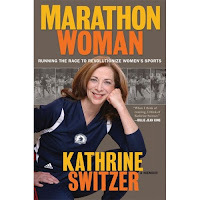 It seems that part of my post-marathon recovery involved a reading marathon as I devoured two books in five days: The Grace to Race by Sister Madonna Buder and Marathon Woman by Kathrine Switzer. 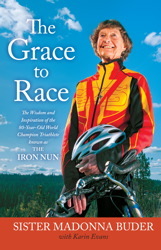 Sister Madonna Bruder has done 340 triathlons and 45 Ironman races plus countless marathons including Boston. She didn't start running until age 48 but continues even now, at age 80. She has traveled the world to race and has dealt with injury, stolen gear, travel mishaps, missed time cutoffs, and the same mental challenges we all face in a tough race. But she has such deep faith in God, His plan for her, and His provision. I want to display the kind of faith and calmness that she embodies. She is also our reminder that age is immaterial. 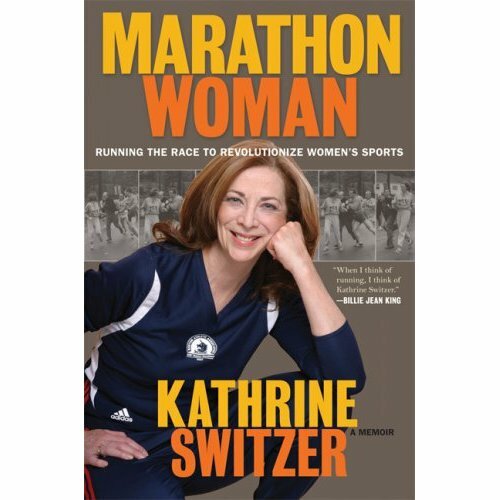 Kathrine Switzer was the first woman to run with a number at the all-male Boston Marathon in 1967. Back then it was believed that women could not hold up for those distances and it was detrimental to their health. But this doesn't start as the story of a rebel. She was a girl who liked running and who ended up with a running partner who had finished 10th in Boston many years ago. After hearing his stories incessantly, she decided she'd like to train and run for it. The opposition she faced there, and the resulting media firestorm inspired her to (1) become an advocate for women's distance running and (2) become the best marathoner she could be. Kathrine ran that first Boston race in 4:20. Her eventual marathon PR was 2:51!! Early in the book, you have no reason to believe she is anything other than an average runner, an average athlete. But her work ethic and single-minded focus to improve her race time and be taken as a serious athlete was incredible. She was putting in 100+ mile weeks with two-a-days on top of a more than full time job. To go from being the first woman marathoner to successfully leading a campaign to get the women's marathon into the Olympic games is incredible. Kathrine comes across as hardworking and humble. I hope I might have the chance to meet her in Boston. One training takeaway from this book is that if you train the same, you'll race the same. 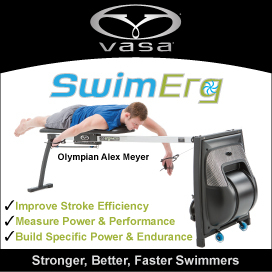 If you really want to improve, something has to change. I'm not saying I am ready to move to 100+ mile weeks, but I recognize that if I do want to improve significantly I need to up my focus, volume, and intensity. I think I'm going to have a hard time finding a satisfying book after reading these two!